I met a lady at Market the other day, who has such different goals for her company than I do ( not that there's anything wrong with that! ) Her goals are to do more wholesale and to have employees do the Markets for her rather than doing them personally. 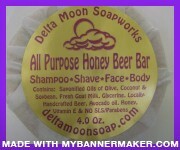 She is involved very little in the production of the product, has it "co-packed". ( that's where you hire a company and give them your recipe and the ingredients and they complete the manufacturing process ) I know it's the way most companies are run. Bigger is the idea. Running a small "indie" business is so different. The focus is on handmade, passion, the pure enjoyment of designing a batch and then putting the beautiful soap togeher, pouring the fragrant soap into it's wooden molds, the way it's been done for centuries. My goal has never been to get rich ( good thing! ) but rather to make a living doing what I love, and to have a wonderful creative outlet too. I love to design/create, I always have. I love that I have made so many friends along the way, you guys! 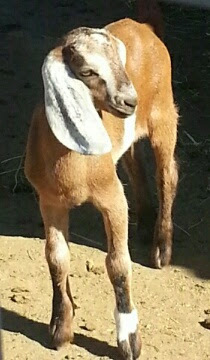 I love that I get to see the new baby goats every season, they are SO sweet. It's hard work at times, that's where the passion comes in. Debbie Allen of Fame said " You can't work as hard as I do if you aren't passionate, if you don't love it" and I so agree with her. Its not about getting bigger, or rich, it's about the passion for doing what I love to do. So there's your tale of two cpmpanies! Then there's the 7 colors, these were added to the "batter" at the right time, man what a mess this was! I was thinking about this the other day, how with small business, or micro biz in my case, you really get so much of the personality of the biz owner, throughout the business. For expample, I am an animal lover, a former Registered Veterinary Technician. 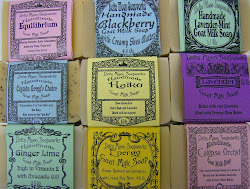 And so we would NEVER think of using animals fats in our soap. 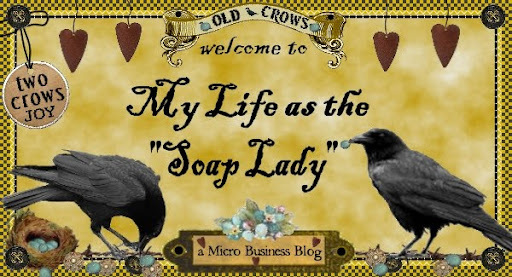 ( Most commercially made soap is made with cow fat, it's on the label as "Sodium Tallowate" ) I love that with small business you are much more likely to get to know the folks that run the business. In my case, I have so many customers that have become friends over the years, when I talk about you guys, I never know if I should say "a customer" or "one of my friends". It really does make a difference supporting local, and supporting small business. You'll still find a personal touch, isn't that so much better?